While the ranked-choice voting process continues in Augusta to determine the winner in the race for Maine's 2nd Congressional District, the two candidates vying for the seat are staying away from the count and from U.S. District Court in Bangor. That's where a federal judge heard arguments Wednesday morning in a lawsuit brought by incumbent Republican House Representative Bruce Poliquin, who is claiming that ranked-choice voting is unconstitutional and asking that the counting stop. The judge is expected to make a decision on that request within the next couple of days. 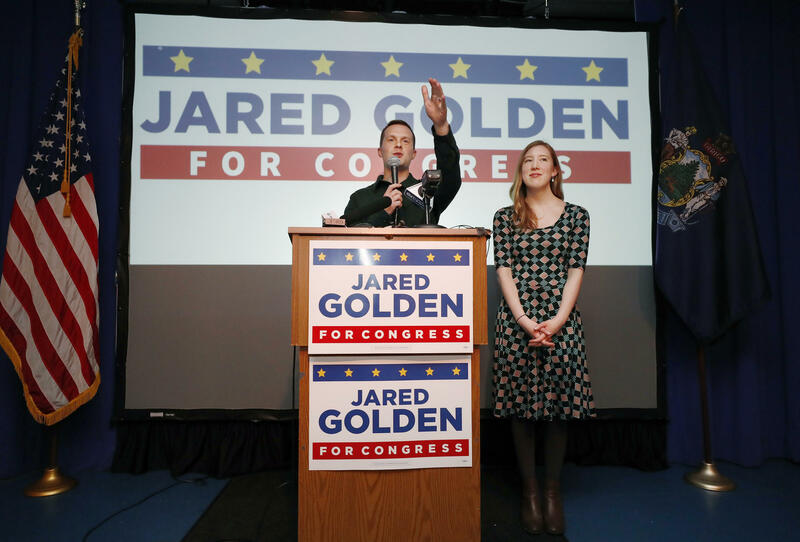 Meanwhile, Poliquin is back at work in Washington D.C.
His opponent, Democrat Jared Golden, says he is patiently waiting for all the votes to be counted. “Clearly staying in touch with my team consistently, but also doing important things like cleaning the house, cooking dinner for my wife, which I haven't been able to do as frequently, so enjoying some of those things as well,” he says. Golden was in Portland Wednesday morning to accept an award from the Maine Affordable Housing Coalition for his efforts to secure safe housing for homeless veterans and to protect children from lead poisoning. He says that he is confident that ranked-choice voting, which is in use in other places at different levels, will be upheld in Maine.